Make your vegetarian guests smile with this classic main course. 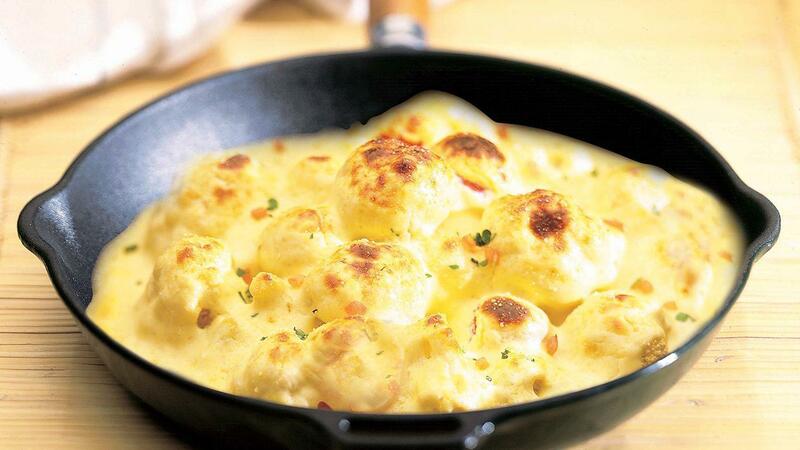 Tender cauliflower & broccoli in a creamy cheddar cheese sauce. Add extra bread crumbs for a crunchy top. Make up the KNORR cheese sauce by adding 160 g to 1 ltr of boiling water and simmer for 2 min. Cut the broccoli and cauliflower into 2cm florets. Cook the cauliflower and broccoli in boiling water for 8 min. or until just tender. Drain and place into an oven proof baking dish. Combine the mustard with the cheese sauce and pour over the drained cauliflower and broccoli, sprinkle over the cheese and breadcrumbs. Place under a hot grill until golden and bubbling.